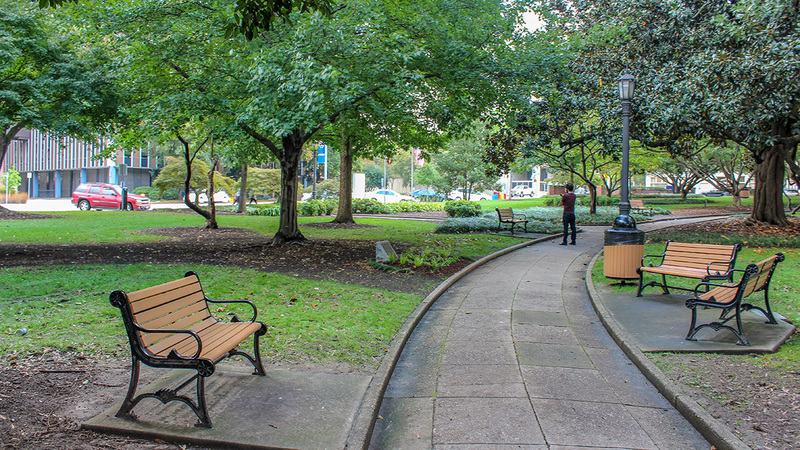 Situated in the southwest quadrant of William Christmas’ Plan for Raleigh, this is one of two squares that continue to fulfill their intended use as public parkland. 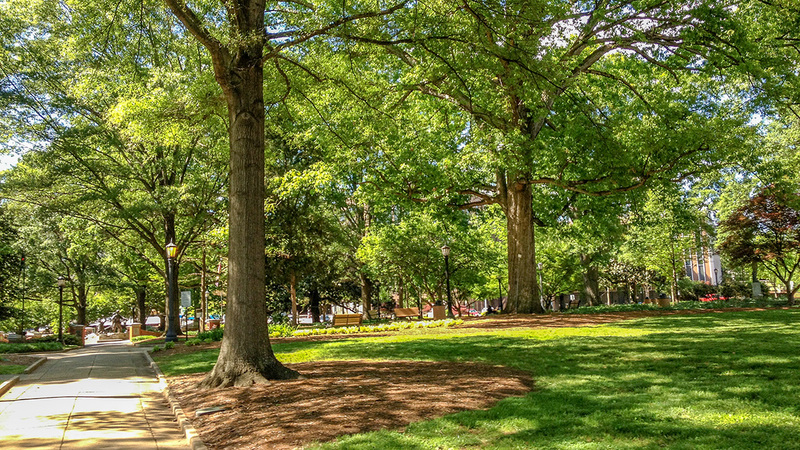 Named after Abner Nash, the second governor of North Carolina, the lush landscape contains lawn, a variety of perennials, and many native shade trees, including oaks and magnolias. 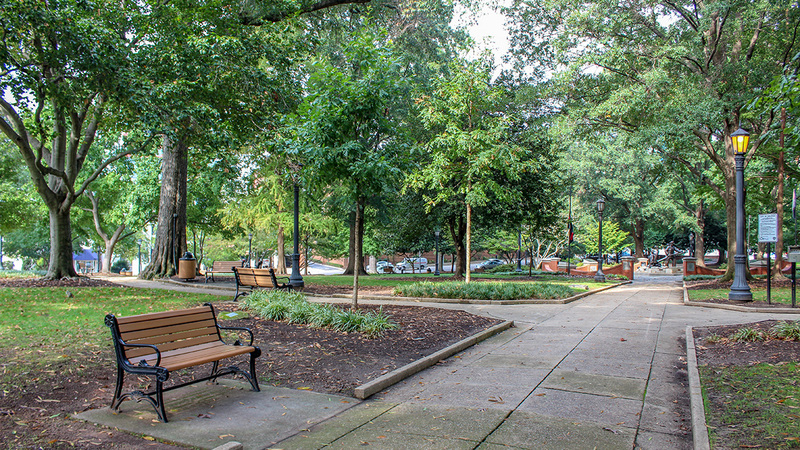 In the 1940s the Works Progress Administration provided funds for the park’s redesign. 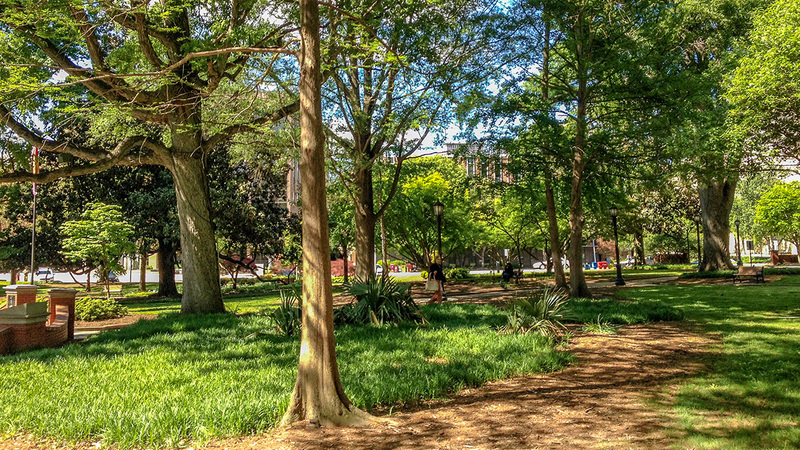 The four acres are entirely symmetrical, with a network of paths composed of two concentric circles crossed by perpendicular walkways that connect to the four corners of the square, each one splitting in two near the site’s edge to provide multiple entry points from the perimeter. 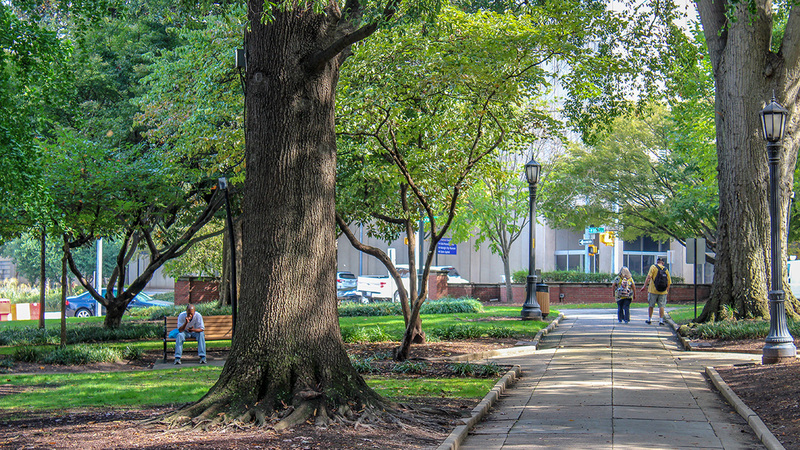 Four additional paths act as the main entrances to the park, bisecting each of the sidewalks bordering the square along Dawson, Hargett, McDowell, and Martin Streets. The latter two include shallow steps to contend with the slightly raised topography on the southeast side of the landscape. 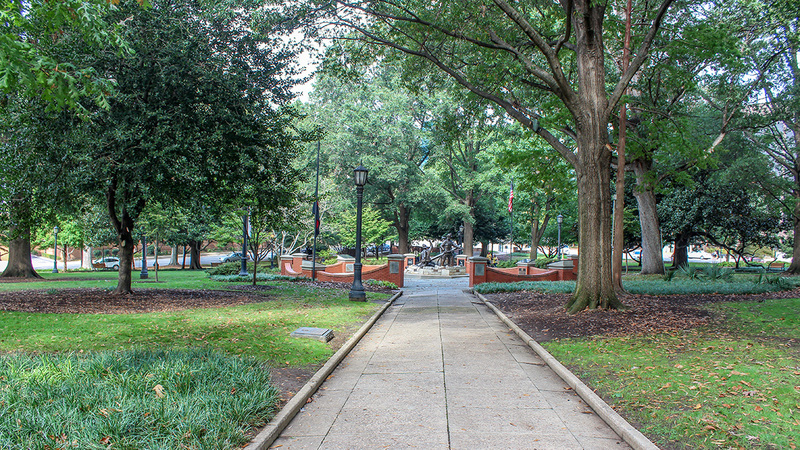 Central to the park is a small plaza that houses the 50-foot-wide North Carolina Fallen Firefighters Foundation Memorial. 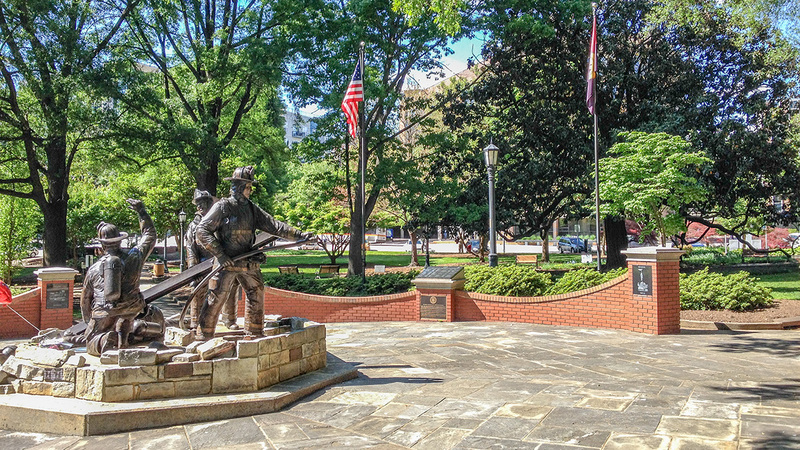 Dedicated in 2006, it features a bronze sculpture depicting four firefighters atop a hexagonal cement slab. The sculpture is surrounded by a low, segmented brick wall inscribed with the names of firefighters lost in the line of duty. Erected in 1985 on the park’s east side, an eight-foot-tall statue of Josephus Daniels, prominent local newspaper publisher and war veteran, stands on a raised base.